DEBRA Canada’s EB Patient Care Kit provides a comforting support package for newborns and their families as they begin to care for a child with EB. Families receive practical, hands-on information on wound care, medical supplies, provincial healthcare service options, and information related to the care of infants with EB. This program also provides the family with specially-made clothing and basic medical products. 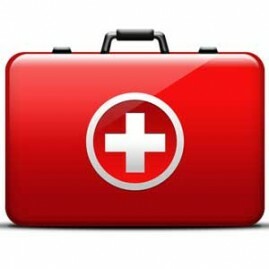 The EB Patient Care Kit may be provided to others, not only infants. Email Erin Hoyos our Secretary ehoyos@debracanada.org for more information on DEBRA Canada's EB Patient Care Kit.